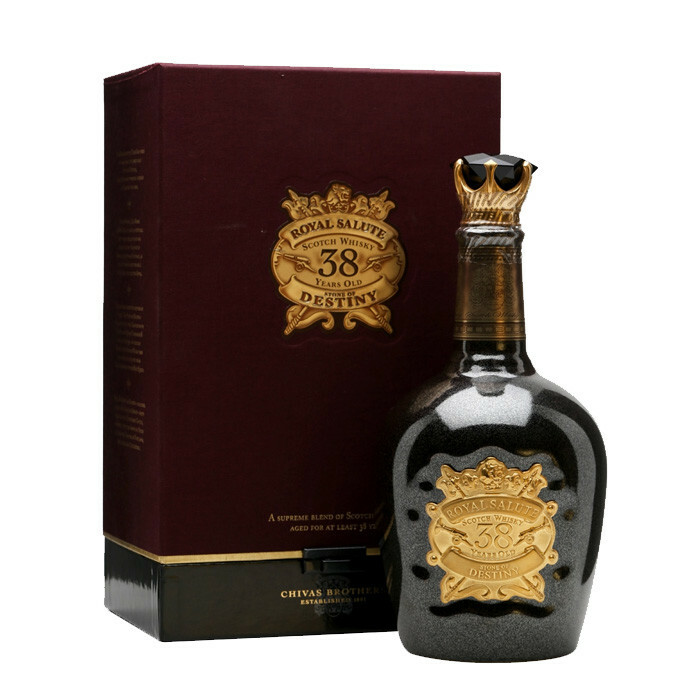 This is an incredible 38 year old blended whisky from Chivas, named for the Stone of Destiny - a block of red sandstone used in the coronations of the monarchs of Scotland and later the monarchs of the United Kingdom. Nose: Soft fruit, butterscotch and walnut loaf. Hints of dried figs and muscovado sugar. Palate: Raisins and malt. Hints of pipe tobacco, dark chocolate, apple peel and allspice. Finish: Spiced, malty finish with hints of sherry on the tail.